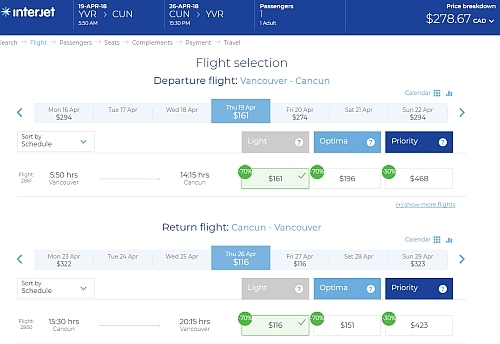 Interjet has dropped the price of their non-stop flights from Vancouver to Cancun, Mexico down to between $253 and $276 CAD roundtrip including taxes. If you're comfortable booking in Spanish, you can book these flights for $253 CAD roundtrip. Non-stop flights from Vancouver to Mexico City are also available for $265 CAD roundtrip ($232 CAD if you book in Spanish). There are currently dates over Easter available (Mar 29 to Apr 5) - which will likely go pretty quick. 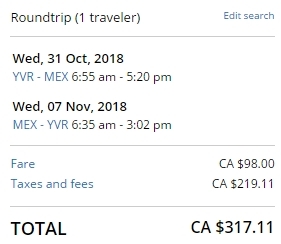 If you're comfortable booking in Spanish, you can book flights from Vancouver to Cancun for $253 CAD roundtrip, and to Mexico City for $232 roundtrip. 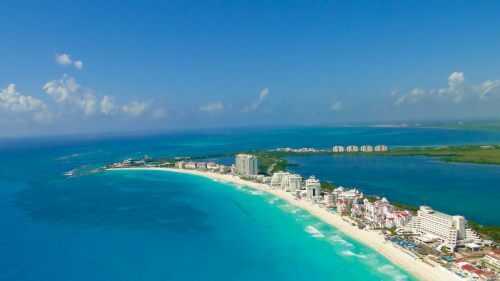 The cheapest prices should show up as $3,542 pesos for a roundtrip flight to Cancun. 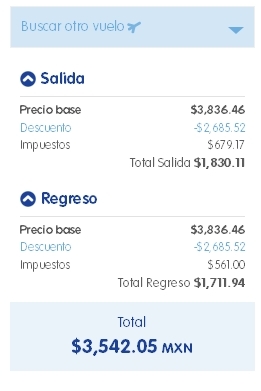 Mexico City is $3,268 pesos. When booked with a Canadian credit card, $3,542 pesos will work out to $253 CAD roundtrip based on today's exchange rate, and including the typical credit card foreign exchange fee. - look for the dates that are $318 roundtrip. 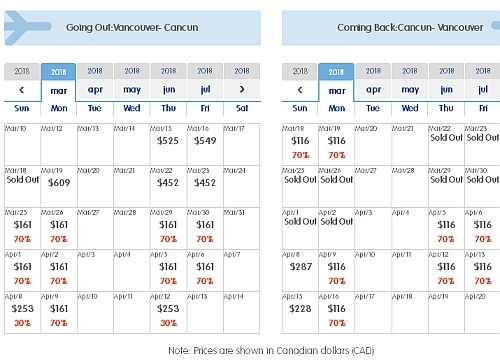 vancouver, yvr, mexico, flight deals, mexico city, mex, cancun, cun, north america and interjet.